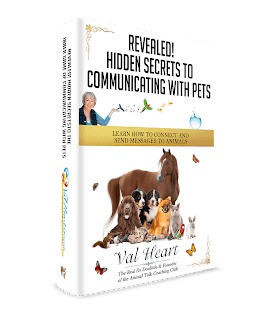 How to Jumpstart Your Animal Communication Skills, Improve Your Accuracy and Confidence So You Can Enjoy Fabulous Conversations With Animals, Anywhere, Anytime! Why do you want to improve your communication skills? Val’s Intuitive Animal Communication Student Mentoring Sessions are unlike those of other animal coaches. Val begins each session in much the same way she approaches a communication, healing or performance session, only in this type of session, she’ll be focused on what you most need to develop your telepathic gifts, to break through any blocks or stuck spots, and to help you grow, heal and evolve your confidence and accuracy so you can master your skills talking with animals. Val can work in partnership with you and various animals to help you discover how to solve behavior issues, health problems, relationship problems and more. She is always listening to the Spirit of the animal and to intuitive guidance to discover why that animal is showing up as a teacher, healer, guide or angel for YOU, what the underlying lessons are, what he/she is here to help you learn, and what is needed to create the best life experience for both of you. Val’s unique intuitive work and healing skills incorporates all levels of physical, emotional, mental and spiritual levels. 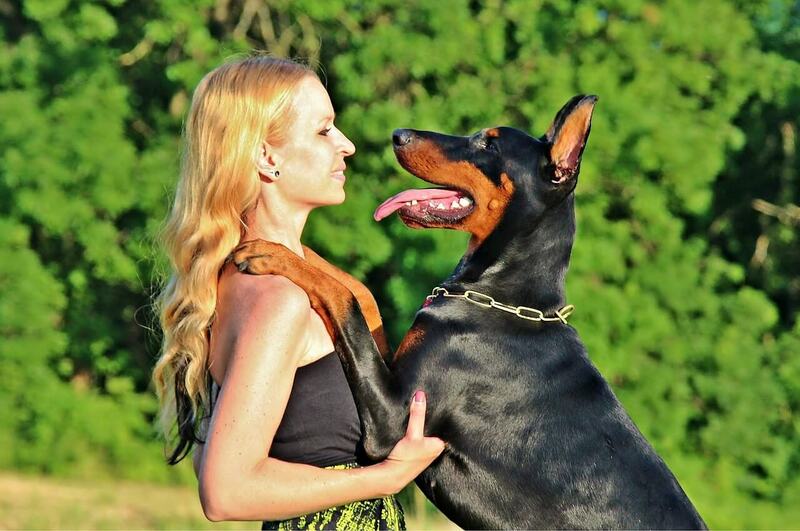 Working by order of priority, the most exciting part of every session is that both you and your pet can experience amazing changes in your relationship, and that those changes will reflect into other areas of your life. If you are coming to Val for a session like this, be prepared to heal, evolve and grow because animals often spend their entire lifetimes trying to break through your barriers. Together you can evolve into advanced states of love, self expression and embrace an empowered spiritual connection with a deep profound level of understanding of yourself and the world around you. Albert Einstein said, “The only really valuable thing is intuition,” and he acknowledged that his intuition was the source of many of his scientific studies that were later verified through scientific methods. These adages, listen to your gut, listen to your heart, listen to your animals. There’s a whole lot of possibility for deep connection going on here! This is a spiritual journey designed to help you become the person you are meant to be, the best version of yourself possible. Animals are Teachers, Healers, Guides and Angels. Talking with them will change your life. Val most loves working with spiritually-oriented animal lovers who learning how to communicate with animals, who want to help animals by understanding them and giving them a voice, who feel that communicating with animals is part of their purpose, and who are considering becoming professional animal communicators. behavior or training issues and need guidance in knowing how to help them through the gift of animal talk. Often you have a powerful sense that your animal needs to tell you something… but you feel blocked and unable to understand what they’re trying to tell you. Through Val’s work you are able to hear and receive the wisdom your animal wants to share, break through any blocks or stuck spots, heal, evolve and grow into the best version of yourself you can be. You are eager to significantly boost your confidence, education and accuracy but feel blocked, limited or stuck in some wayHave Questions Before Deciding? Click Here for answers to our most Frequently Asked Questions! Wonderfully Healing Session – What a Gift! Thank you so very very much for our private session last week. After losing Oso, my big giant bear of a dog a month ago, I needed to “talk” to him. Not only did I get to talk to him on the phone with you that day AND reconnect with him, which was wonderfully healing, but the night after our call, I had the most remarkable dream. In my dream, a great big Tibetan Mastiff (TM) visited me. He looked a lot like Oso but wasn’t so I asked him who he was. He replied that he was the grandfather soul of Oso and all of the other TM’s. He was so very ancient and wise. He said he was checking on me. He wanted me to know Oso was off on his adventures far away exploring his new home and would be back. It was a lovely dream with a most magnificent grand dog spirit visiting me. I felt touched and blessed and finally at peace. I am so grateful for your communication with animals and that you can share that with me. What a gift. Big hugs! “Over the last four years in working with you, I have learned that in order to help my Shetland Sheepdog, Kati, I must first look within myself and heal the imbalances in my thinking, feeling, and physical self. Kati was mostly a reflection or mirror of what was going on inside of me. If I was afraid or angry, Kati would react with barking and fear/aggression behaviors. If I was ambivalent or frustrated because I was unsure of my inner strength, Kati would test the limits. With your help I was able to see what I was doing instead of thinking I needed to fix her. You gave me clear directions and encouraged me to experiment with different behaviors. You helped me balance my emotions, calming myself first so that Kati can be calm. Our walks are more pleasant, she calms down when I ask her to, and she alerts me when it’s necessary. My relationship with Kati has reached a level beyond simple obedience training. You’ve made it possible for us to experience a sweet cooperation that will only grow richer. Aggressive Attack Cat Now Polite & Well Mannered! “I want to let you know the update on my cat, Kitty. You may remember our session a few months ago. The subject was Kitty’s aggressive and inappropriate behavior. Well, since this session, Kitty has changed quite a bit. Now she always comes and politely asks for permit to jump on my lap and when I tell her, I’m not ready yet, but I will let her know when it’s ok, she will lay down and wait. Not once has she made a surprise attack spilling my tea or whatever I was eating or drinking. As soon as I call her and tell her it’s ok now to come, she runs towards me, jumps on my lap and straight onto my chest wrapping her paws around my neck and pushing her head under my chin. When she had enough attention, she still starts her “war howl”, but she stopped biting and scratching. She simply howls and jumps down. Advanced Animal Talk Mastery Topics Self Study Courses (regularly $497). Personal Mentoring with Val designed to help you master the material, get answers to any questions you might have, receive support if you get stuck or feel blocked, and help diving deeper into the magical world of animals. Three 30 minute private consulting sessions and the digital recordings (regularly $870). Once your payment has been received, you will receive immediate access to the Courses and can schedule your sessions whenever you need them from the available times on Val’s schedule. Val recommends completing at least the first 3 lesson modules in the Beginning Course before scheduling your first private session. NOTE: If you choose a payment plan, then you’ll receive both Courses immediately and we’ll schedule your sessions so you have completed all your payments prior to receiving your last private session. Have you already taken a beginning and/or an advanced course and just want help improving your skills? Then THIS is the perfect way to go. The Heart Style Animal Talk Student Mentoring, Healing & Intuition Development Sessions will help you gain clarity, confidence, improve your accuracy & telepathic ability to communicate with any animal, anytime. Includes 3 private mentor consulting hours plus digital recordings. Once your payment has been received, you will receive immediate access to Val’s schedule with instructions on how to best prepare for your sessions. Schedule them whenever you need them from the available times on Val’s schedule. NOTE: If you choose a payment plan, then we’ll schedule your sessions so you have completed all your payments prior to receiving your last private session. The One Heart Mentoring Session is a good way to get answers to your questions about animal communication, for clarity and support in using animal communication to solve health, training and behavior problems, and much more. NOTE: This session isn’t best for beginning students with no training, or experiencing major blocks or deep trauma/abuse/wounding, or who are working with many animals experiencing a variety of problems including significant management issues (the above plans would be better suited in those situations). Once your payment has been received, you can immediately schedule your sessions whenever you need them from the available times on Val’s schedule.